There are 5 collaborative technology suites with 55” LED displays and whiteboards that seat 6-8 people. Collaboration rooms are available on a first-come, first serve basis. HDMI cables, remote controls, and other equipment for the displays can be checked out at the Information Desk for a 2 hour period using your student ID. 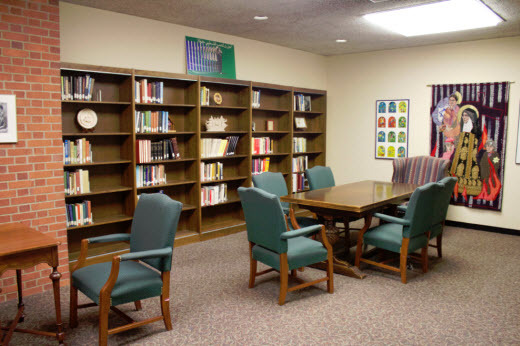 The Edith Stein room is on the first floor of the library in LIB 104 and houses the Edith Stein Collection, “one of a few worldwide centers that gather and maintain original manuscripts and first and special editions of the works and thoughts of this renowned phenomenologist." The space includes two tables and comfortable seating for 10-12 people. The Academic Commons is located on the second floor of the library and offers a variety of individual and group study spaces. 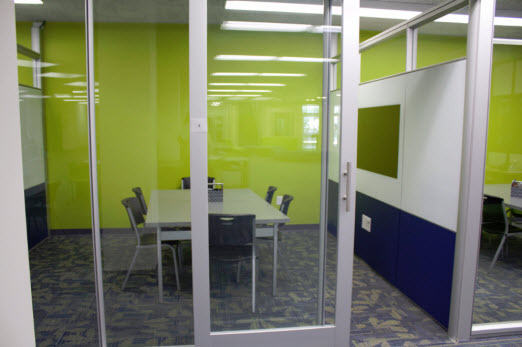 LIB 208 and LIB 213 are quiet study rooms that can be reserved online in advance. There are 9 private, quiet study rooms and 5 private study rooms with computers in the lower level adjacent to the elevator. These rooms are sometimes used for exam proctoring.